Why Choose Our Epoxy Floor System? 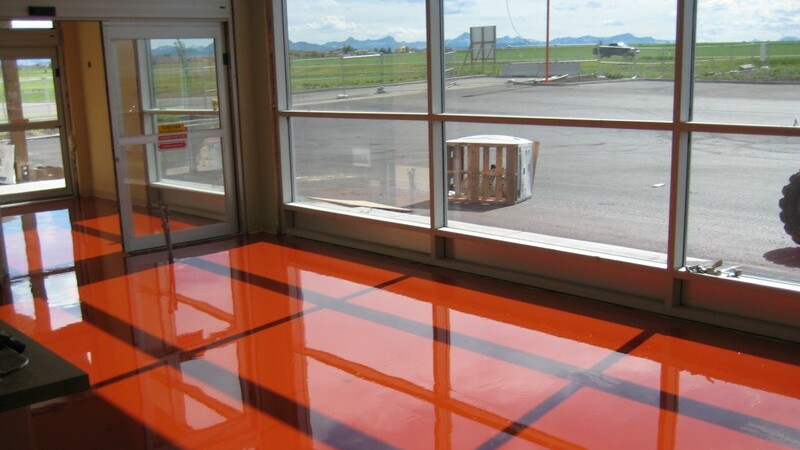 At DSO, we offer custom epoxy floor systems for your commercial space. We use a specialty epoxy coating that has been formulated to work ten times better than other epoxies. An epoxy floor gives you a beautiful, functional, and durable surface which will last for years. In addition to its beauty and style, an epoxy floor is very easy to clean and is resistant to oil, grease, hot tire marks, petroleum products, antifreeze and chemicals. Our epoxy floors use a flake flooring texture helping to provide slip resistance, durability and are top coated with polyaspartic for ultimate protection. Our professional preparation and installation can normally be completed within 2 - 3 days, given the size of your job. You can expect to be back on your floor within 1 day. Our epoxy flooring also comes with a 3 year warranty. 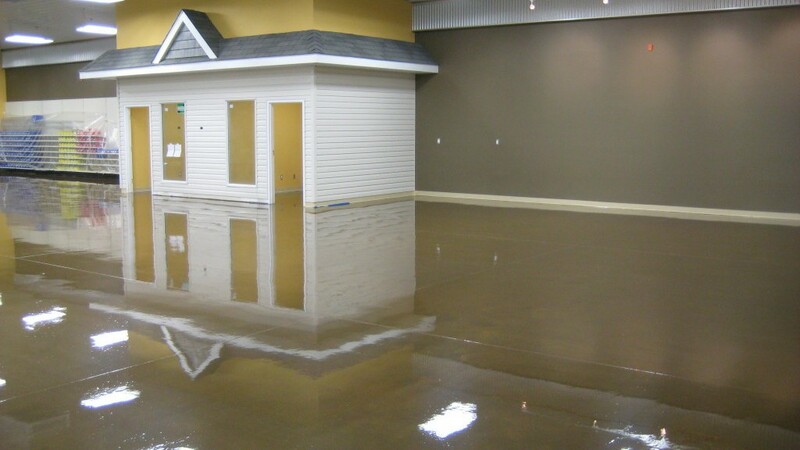 Our 2301 is a self leveling, 100% solids tintable epoxy coating. It is a high build epoxy coating system specifically designed for demanding industrial and commercial applications. 2301 also has compressive strength of 13,900 psi and a tensile strength of 8,900 psi. It also has excellent heat and chemical resistance, including Skydrol and Hyjet airline break fluids. 2301 Clear Guard is approved by the Canadian Food Inspection Agency for incidental contact in federally and provincially inspected meat and poultry plants. We also offer a polyaspartic coating - 3839. This coating is extremely durable and is completely UV stable. It is deigned to not turn yellow over time. With fast dry times, this coating is fully cured in 8 hours.